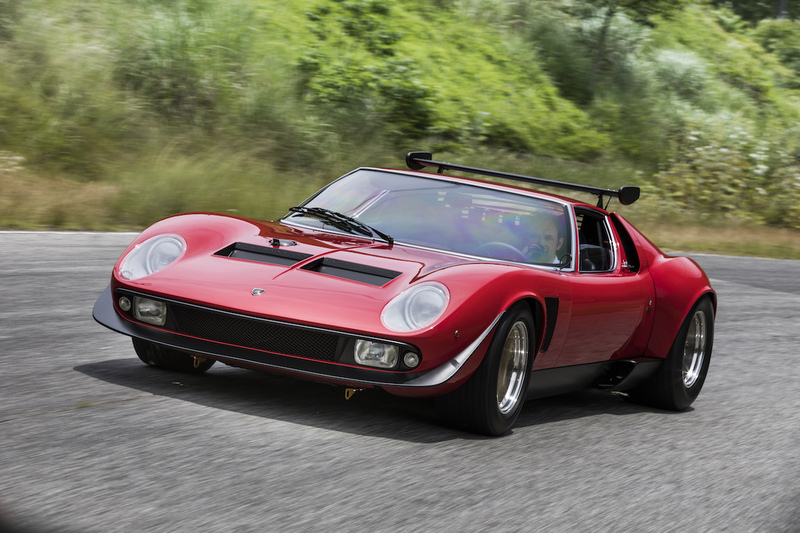 Lamborghini's Polo Storico restoration division has acquired and restored the only Miura SVR in existence, according to a press release posted by Lamborghini Thursday. 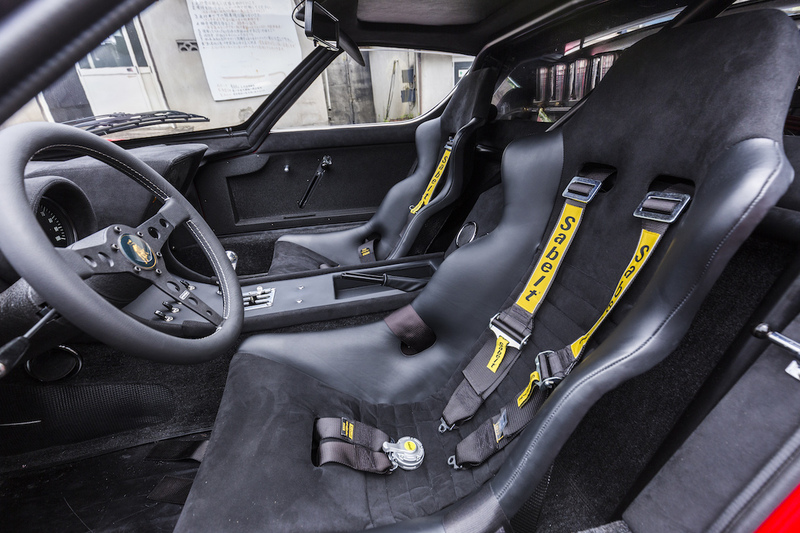 The SVR's restoration was commissioned by a Japanese buyer who plans to take it to historic racing exhibitions to showcase the car's rich connections to Japanese culture. 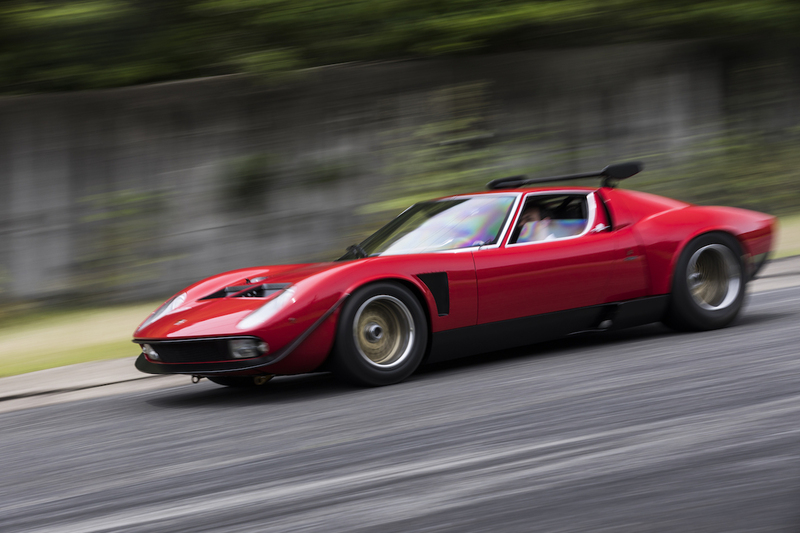 In 1970, Lamborghini's test driver Bob Wallace saw a need to create a FIA-spec racing version of the Miura and built the P400 Jota. 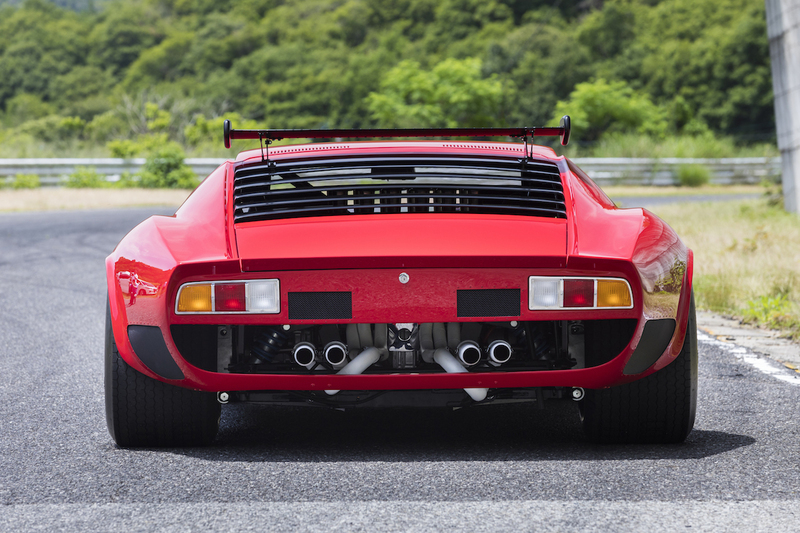 The Miura's engine was upgraded to produce more than 418 horsepower and Wallace added new aerodynamic pieces and fixed headlights. He also shaved 800 pounds from the car by switching the fuel tanks to smaller units, adding lighter wheels, and exchanging steel body components for plastic ones. The Jota was used extensively as a test mule before it crashed in 1971. 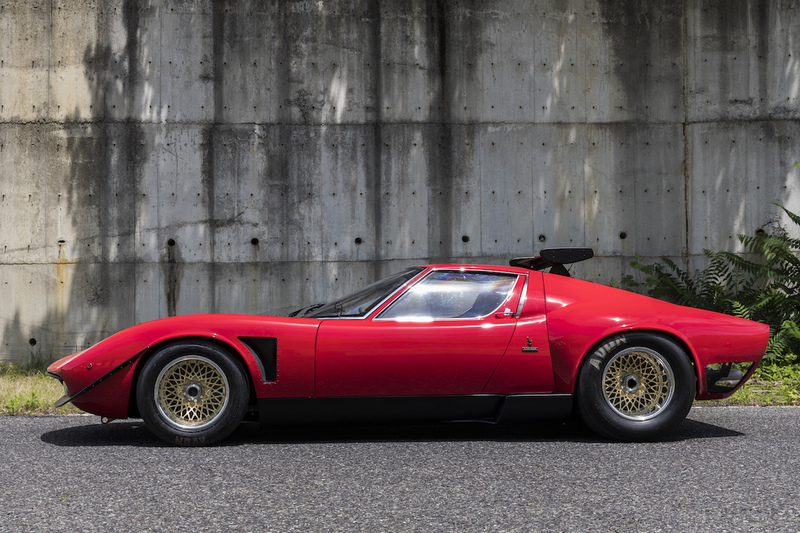 Wallace's Jota inspired the car you see now, a one-off Miura with the same modifications. This car, chassis 3781, was originally a 1968 Miura S with a Verde Miura (bright green) exterior and black interior, put on display at the 50th Turin Motor show. 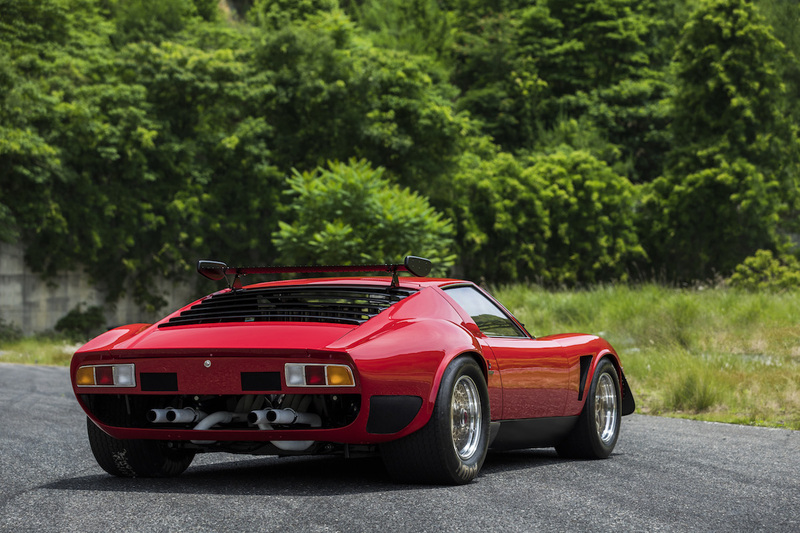 It bounced between eight owners before landing in the lap of German buyer Heinz Straber, who shipped it back to Lamborghini's Sant'Agata headquarters in 1974 for a professional conversion to Jota specifications, a process that took 18 months. 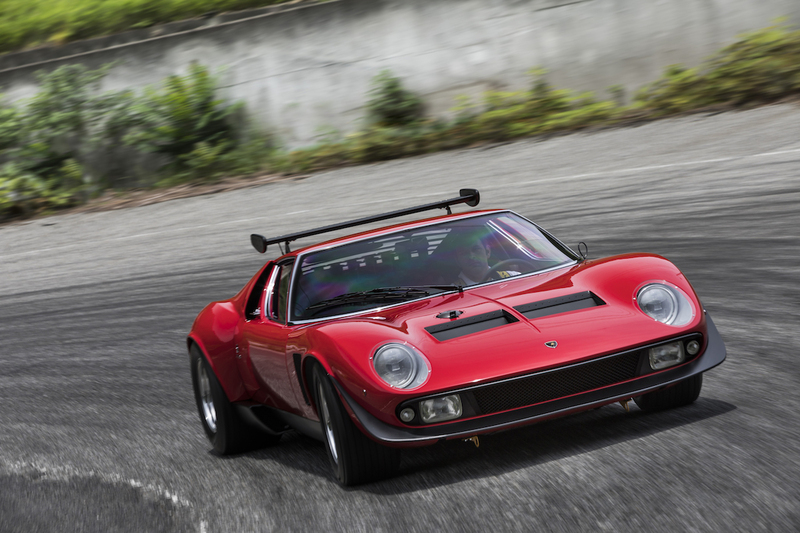 Polo Storico's restoration took roughly the same time as the conversion process and had its own series of hiccups that made bringing this historic Miura back to its former glory almost impossible. Toy collectors might recognize the SVR, as it's the basis for the Kyosho Miura Jota SVR 1:18 scale model, a highly desirable piece that now sells for hundreds of dollars online. The car was also featured prominently in the Circuit Wolf Japanese manga series. 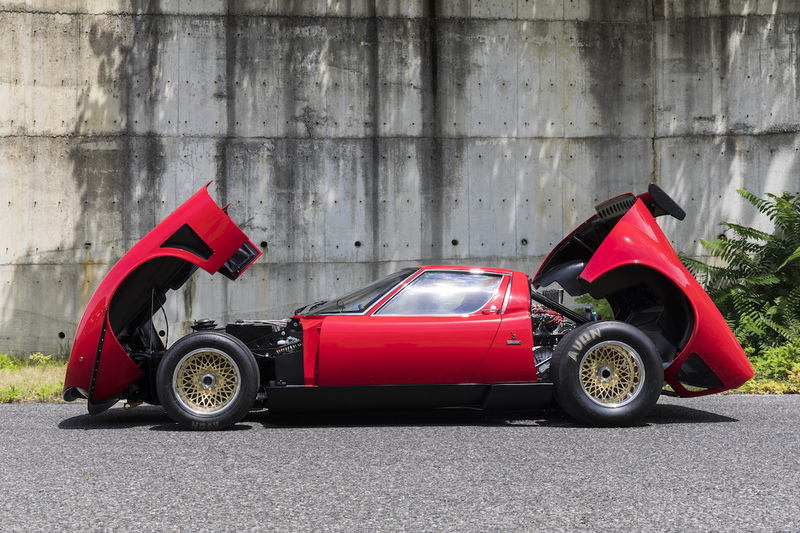 To show its admiration for the Miura SVR in Japanese culture, Lamborghini put chassis 3781 on display at a special event at the Nakayama circuit in West Japan, where it was delivered to the customer.